This exercise for vertigo treatment at home gained popularity in 2012 after CBS4 Health Specialist Kathy Walsh reported on it. It should give you instant relief and it can be done anywhere! 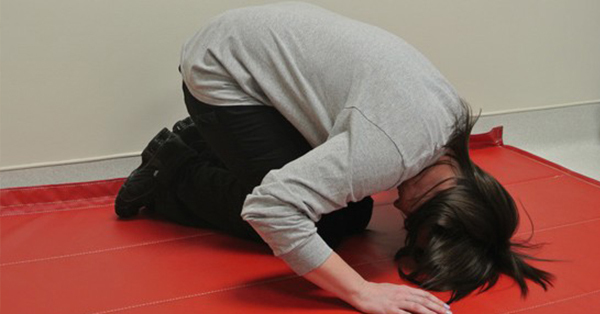 Sitting on your knees, straighten your back and tilt your head to look at the ceiling. Bring your ear upside down between your palms and your arms to your elbows to the side as if you were doing a somersault. Turn your head to face your left elbow. Once you’re no longer dizzy, raise your head to back level. Wait until you are no longer dizzy and sit back quickly. Yoga is a great way to find your balance, overcome your limitations and readjust your body. This pose work wonders for your sinuses too! To do it, sit comfortably on a meditation cushion and sit with your legs crossed and your spine straight. Bring your right foot on top of your left thigh and vice-versa. Close your eyes and place your hands on your knees. Raise your arms in front of your face with your elbows out to the side. Close your ears using your thumbs, close your eyelids using your index fingers, and your nostrils with your middle fingers. Use your last two fingers from each hand to close your mouth. Release your middle fingers and breathe in deeply. Close your nostrils with your fingers and hold the breath as long as comfortable. Release your middle fingers and breathe out. Repeat the cycle for a full 5-10 minutes. Finish off my going back to the original position with your hands on your knees. This pose relaxes your mind through breathing one nostril at a time. It can also help you calm down during a dizzy spell. Place your left hand on the left knee, palms open to the sky or in Chin Mudra (thumb and index finger gently touching at the tips). Nadi Shodhan pranayama. Continue inhaling and exhaling from alternate nostrils. Complete 9 such rounds by alternately breathing through both the nostrils. After every exhalation, remember to breathe in from the same nostril from which you exhaled. Keep your eyes closed throughout and continue taking long, deep, smooth breaths without any force or effort.